Global approaches to web development create websites that are typically incompatible in China. This is due predominantly to a large reliance on Google, Facebook, Youtube, and other offshore resources. Chinafy typically tackles 80-90% of your website’s issues with just one click. Chinafy scans your site, identifies incompatible resources, and provides recommendations based on the type of incompatibilities found. While most resources, like fonts, can be addressed in bulk, others - like streaming video - require linkages to onshore video hosting services like Youku or QQ. Implement both automatic and manual modifications to your China website directly through Chinafy. Complex sites need more sophisticated identification and code-editing tools. 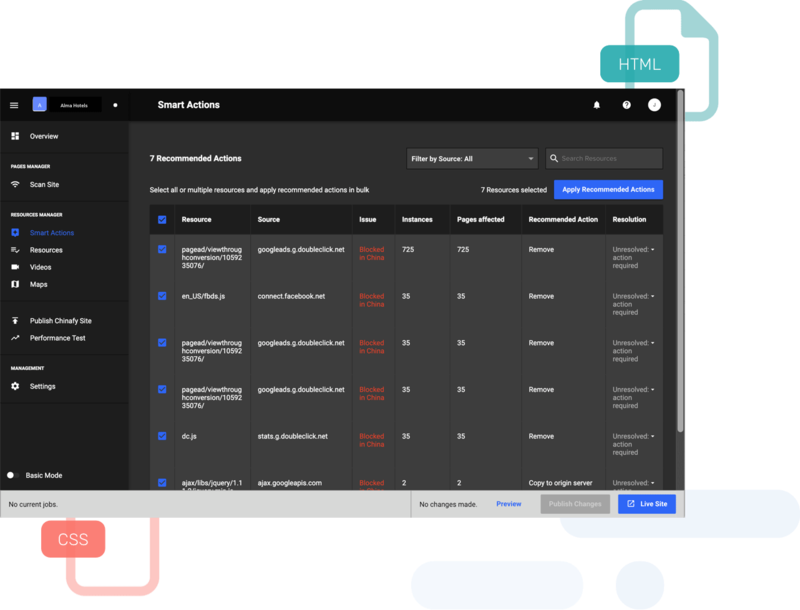 While the bulk of incompatible resources can be identified and remediated through scanning the HTML and CSS, resolve more complex issues one-at-a-time, or all-at-a-time as you like. 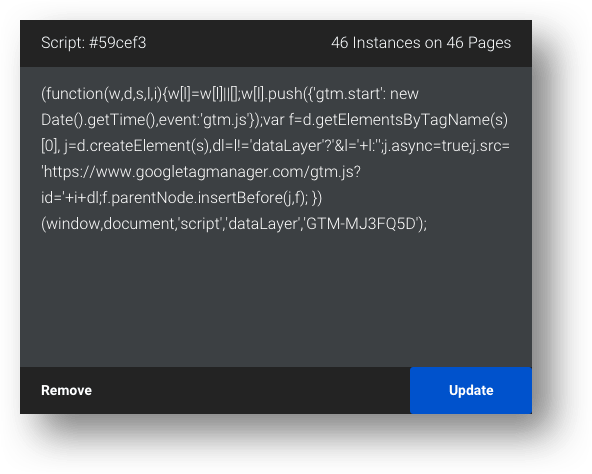 Identify which scripts are stalling pages from loading, remove, and or modify them as appropriate. Does your site have dynamic data? 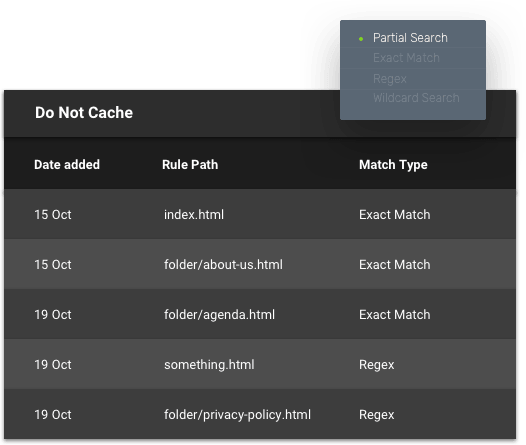 Remove API calls by adding them to the Do Not Cache list. 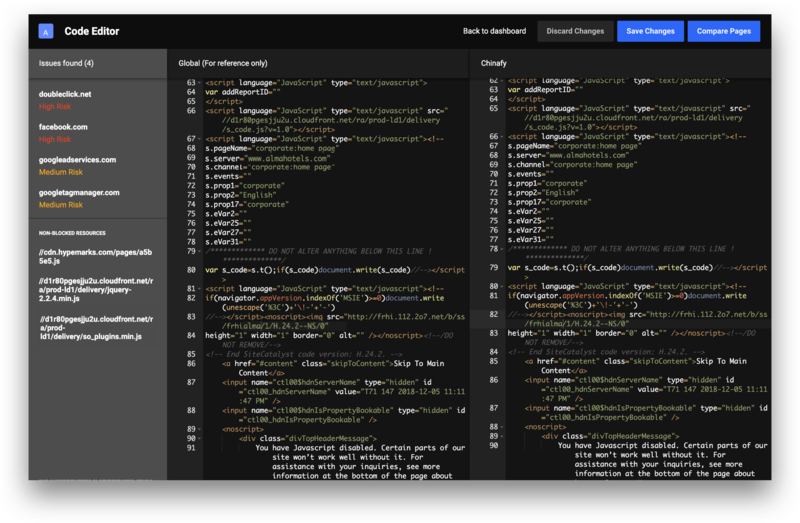 Streamline your workflow with flexible configurations, team permissions, and developer modes. Reduce time to market by resolving your China-incompatible resources in bulk. Whether you have one page or hundreds, our algorithms help you apply intelligent rule-based actions across all affected instances at once. Choose and or scale your CDN configuration options as you like. We provide the options of Standard Cloud (via AWS Cloudfront), Acccelerated CDN (via CDNetworks) or multi-CDN (via Fastly and ChinaCache).